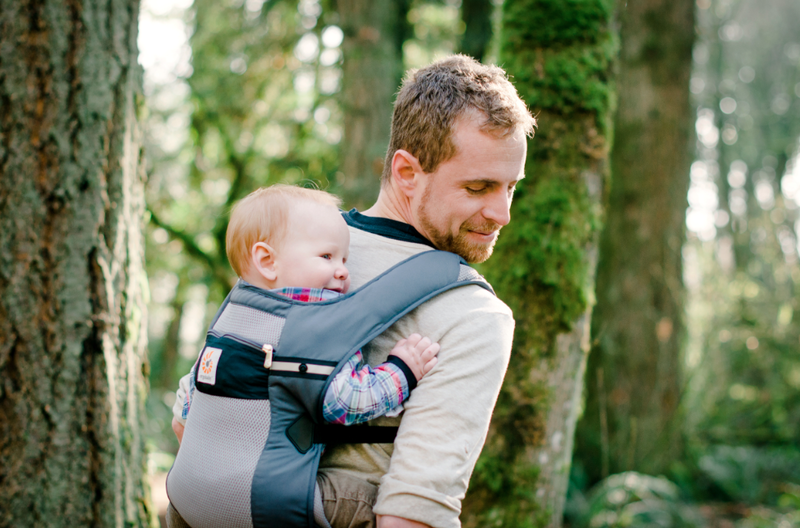 Carrying babies in your arms for any significant amount of time can be very tiresome, hence the backpack carrier becomes a necessity during hikes or even long walks through city streets. Baby backpacks can be used for children as young as 6 months old but their utility really comes into play when the child is a little bit bigger and can keep his or her legs straight without pushing on the parent’s back. Front carriers and other varieties of baby bags are preferred until this point is reached, but these will prove utterly impractical for toddlers or even for one-year-olds, both because of structural limitations and inadequate weight distribution. 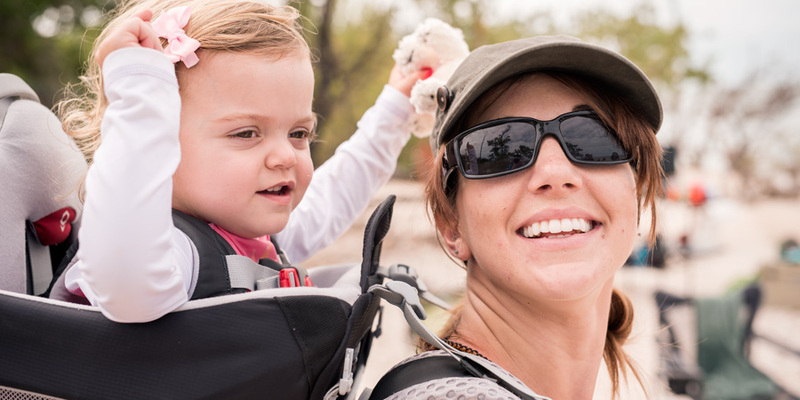 While most people buy them specifically for nature walks, baby backpacks also offer some advantages over strollers in urban environments. They take up less space and don’t pose any significant problems when negotiating narrow streets, doorways, and stairs. This added convenience makes them a particularly good investment for people with enough stamina to use them for any significant stretch of time. When shopping for one comfort should be the first thing to look for, followed by weight allowance, resistance, and convenience features. To help you make a chose the best item for your needs, we’ve taken the time to look through all the best baby backpacks reviews and summarized their conclusions below. Structure-wise there are two main categories to choose from, each one offering its own set of advantages and disadvantages. Framed baby backpacks are built around a metal structure that helps distribute the weight evenly. They offer good comfort for both the parent and the baby, the framing allowing it to adhere firmly to the parent’s back. They are also pretty durable and come with some convenience features like extra carriage compartments. The main downsides to framed carriers come from their weight and size, which makes them harder to store and transport, while also adding to the load the parent is expected to carry. Non-framed carriers are basically fabric with some padding added to make it easier on the parent. They are much cheaper and lighter than their metal framed counterparts but the child sits lower which makes both for uneven weight distribution and less comfort for the tot. The non-framed variety is generally recommended for people that don’t expect to put the carrier through a lot of use. They can be easily stored and taken out for short walks when they are needed. Both the comfort of the carrier and the carried should be considered when making the decision of what to buy and it’s highly advisable for the unit to be tested in the store fully loaded beforehand. The baby carrier will ideally apply equal pressure to any point of the parent’s back. This really can’t be achieved with non-framed models but when framing is present it should have a slightly curved shaped, following the contour described by your spine. Framed models also put significantly less pressure on the shoulders, since a good deal of the weight comes to rest on the lower back. In order to allow for this, the load shouldn’t push straight down (perpendicular to the ground) but slightly to the front. This weight distribution is facilitated by the baby’s elevated position.His or her head will ideally come at the same level as that of the parent, which will also make for a more enjoyable ride since the little one will be able to look towards the walking direction. In non-framed models the tot’s eyes won’t always be able to reach above the parent’s shoulder, which will force him to have his head turned for the duration of the journey, potentially causing some neck strain. That’s why it’s highly advisable to check that a non-framed carrier offers the possibility for the child to sit back-to-back to the parent since this will spare him a lot of discomfort during long walks. Braces are also very important and ideally, they should come around the child’s midsection and waist. This will prevent any unwanted lateral movement and loss of balance while leaving his hands and feet relatively free. Non-framed models are very easy to store at home and they take up very little space in the car with some of them being small enough to fit a plane’s luggage compartment. You probably won’t be able to do the same with a framed model but these come with the added benefit of extra-large storage compartments. They can potentially fill the same function as baby bags since every item needed for taking care of the little one, such as water bottles and diapers will be carried along with him. Smaller models do sometimes offer extra compartments but most reviewers find them to be rather insufficient for longer journeys. This can’t really be seen as a minus given that non-framed units are only intended for short walks. For people who often have to contend with excessively rainy or sunny weather a canopy is definitely a feature to consider. The extra weight it adds is negligible, although it makes the unit a lot bulkier, giving you a significantly harder time in negotiating cramped environments such as thick woods. Since they carry such a precious load, baby backpacks must be tough and durable to prevent any unfortunate accidents. This is particularly important for people who plan to use them in urban environments, over the hard tarmac. Unfortunately, it’s hard to tell how good one of these backpacks will hold up over time just after a summary inspection or a short test walk, with most reviewers barely broaching the subject. We highly recommend you check any available consumer reports before deciding on what to buy. Something that might give an idea about the object’s durability would be the maximum weight allowance. This can range from around 30 pounds all the way to 70 and both the child’s weight and surplus carriage should be taken into account when deciding on it. Always go for 10 – 20 pounds more than what’s expected to be needed.